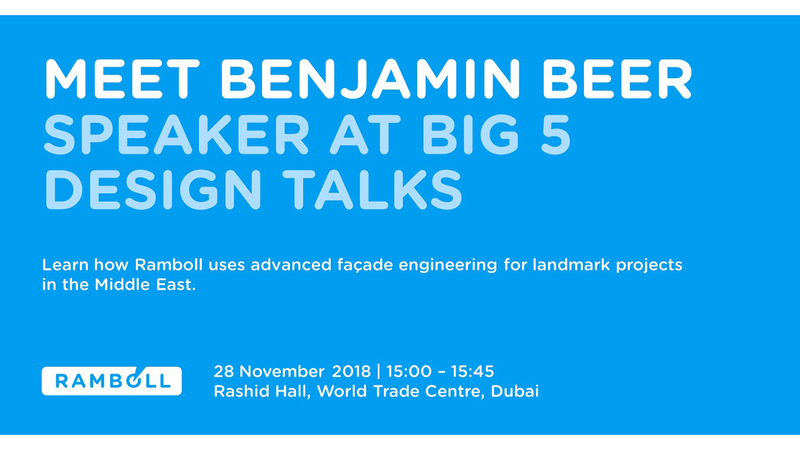 Benjamin Beer, Head of Façade will speak at the Big 5 Design Talks at the Dubai World Trade Center (DWTC) on Wednesday, 28 November 2018. Benjamin’s topic is titled ‘Advanced Facade Engineering for Landmark Projects in The Middle East’, a topic trending in the Big 5 Talks. Join Benjamin at the DWTC on 28 November 2018.